Hello everyone, and welcome to my Fall 2016 Capstone website! This webpage encompasses the work I do at Alder Elementary, through the MAPS program, out of PSU's Student Community Engagement Center. I have worked with the MAPS program since Spring term of my freshman year. I am now a junior, and this is my second year being a team leader for the MAPS program. As a team leader, I do the marketing for MAPS, as well as the hiring of new mentors, in-classroom curriculum planning, coordination and communication with the classroom teachers, and event planning, for days like College Day. Essentially, the MAPS program came together because PSU wanted to have a connection with an elementary school in the area. Alder Elementary is the first "Dreamer" school in the nation, meaning that the I Have A Dream Foundation adopted the entire school, in the hope of fostering low-income students dreams to attend college and start their careers later in life. I Have A Dream is an organization that started in 1981. Eugene Lang, a businessman from New York decided to adopt a 6th grade classroom at his old elementary school, after learning that 3/4 of the school's students weren't expected to graduate from high school. Lang made a promise to every 6th grader in that classroom: if they graduated from high school, he would pay their college tuition. He wanted for every child to have a chance at higher education and success, so he started the national "I Have a Dream" organization. At this time, at least 28 states operate using a type of dreamer model, as most schools are not financially able to afford to pay for student's college tuition. However, with the revised I Have a Dream model, students are followed from kindergarten to 12th grade, and offered support and resources along the entire way. ​“At Alder School, we strive to be a community of lifelong learners, to honor diversity and to pursue excellence", one of the goals on the school's websites reads. As a capstone student, I follow University Studies goals, which are diversity, critical thinking, communication and social responsibility. My work with these students allows me to tap into each of these goals. ​​​We commit to going out to Alder Elementary once or twice a week, for Fall, Winter and Spring terms, to assist Alder teachers in their third grade classrooms. This term, Fall 2016, we are placed in the first and third grade classrooms, and instead of providing mentoring to the entire class, we are each paired up with mentees who need individualized help. We are doing a program in collaboration with I Have A Dream and Alder this year called "Lunch Buddies", which involves each mentor spending time in the classroom with their mentee, and then also attending lunch and recess with that student. This one-on-one mentoring provides students who may need the extra support and assistance a buddy who they can rely on. 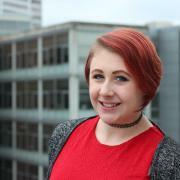 Madeline Schnipper is the Mentoring and Service Graduate Intern in the Student Community Engagement Center and coordinates the MAPS mentoring program, Portland State of Mind Day of Service and Serve Your City Days. My name is Mary Murphy and I'm a junior at Portland State, studying Child & Family Studies and Sociology. This is my third year working with the MAPS program and my second as a team lead. I am passionate about social justice, puppies, musical theater, and volunteering. My name is Coco Aiten. 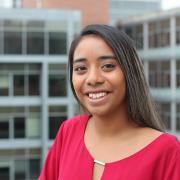 I am a Child & Family Studies major and am a team lead with the MAPS mentoring program. I am a 2nd year student at PSU. I am also a first generation college student. My family is originally from Chuuk which is in the Federated States of Micronesia. Pictured above: MAPS mentors for the Spring 2016 term: the Friday team! Pictured below: MAPS mentors for the Spring 2016 term: the Monday team! ​The impact that Alder Elementary students have had on my life since early 2015 is remarkable. I have become a more understanding, compassionate person since I started volunteering at Alder. Working at a school where the majority of children are lower income has broadened my perspective of what lower income students look like and how their learning experience is so hugely influenced by their home life. If a child's family is houseless and they are constantly sleeping in different places, how does that shape the child's success in school? Working at Alder has shown me that there is so much power in community. ​The teachers at Alder are wonderful and make their classrooms welcoming spaces for us MAPS mentors. The children are so full of joy every time we enter the classrooms. Knowing that we can enter into the classroom and provide relief to the teachers as well as education and assistance to the students is rewarding in ways that I can't truly put into words. The MAPS program and Alder Elementary have both helped positively shape the way I look at education and mentoring. My life motto is "Lead with compassion, always." 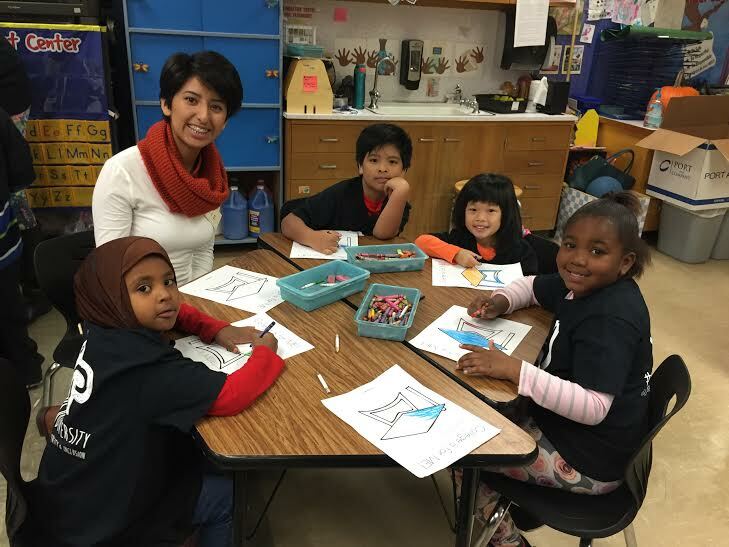 Through the MAPS program, PSU students are able to actively participate in chosen classrooms at Alder Elementary, providing assistance to teachers, and mentoring to students. If you wish to get involved with the MAPS program for Winter 2017 or Spring 2017, please contact Madeline at schnip@pdx.edu, contact me at mmurp2@pdx.edu, or follow the link below for more information about joining the MAPS team. As MAPS is a program out of the Student Community Engagement Center (SCEC), it is part of my job as a team leader to positively represent SCEC. 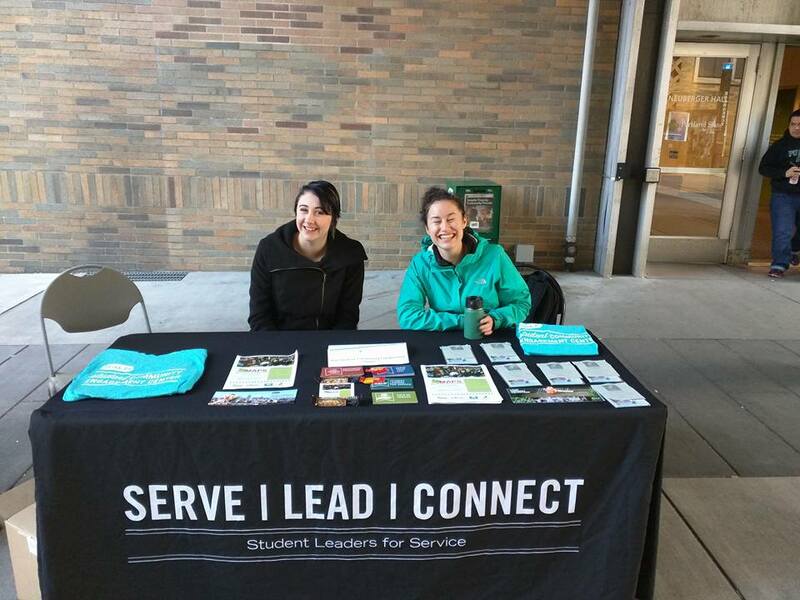 MAPS mentors and team leaders often set up tabling to try and get more people interested in the work we are doing. SCEC also hosts a variety of events, including Days of Service, where students and faculty alike can give back to the community every term. 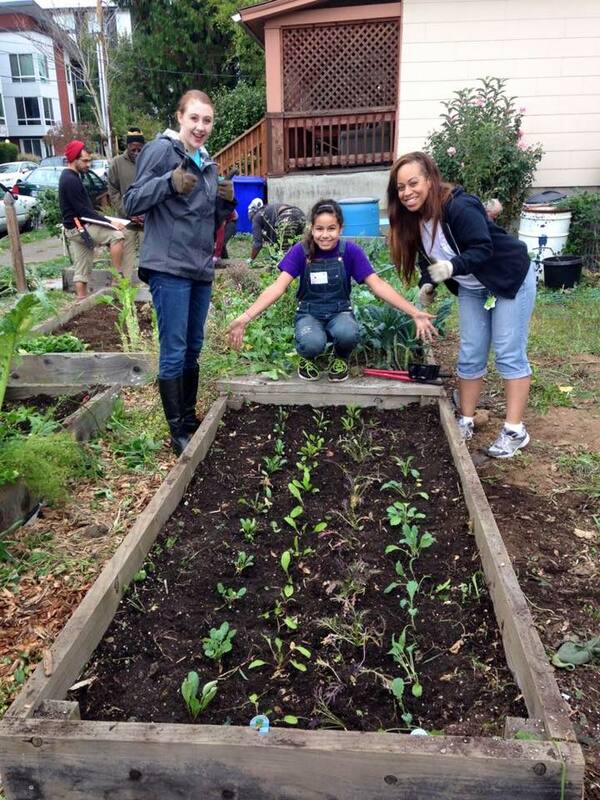 These Days of Service include multiple service sites, both off and on campus, and give opportunities such as baking cookies and spending time with residents at Ronald McDonald Charity House, community gardening, or working in PSU's food pantry. Every Fall term, the MAPS team heads out to Alder Elementary to participate in College Day with several other colleges. Every grade level at Alder (K-5) has a school that acts as their sponsor. 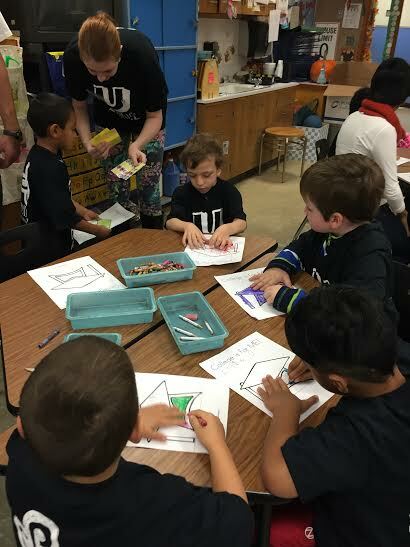 PSU sponsors Alder's 4 kindergarten classrooms. On College Day, we enter these four classrooms to play games and do arts and crafts with the students, while focusing on the topic of higher education. 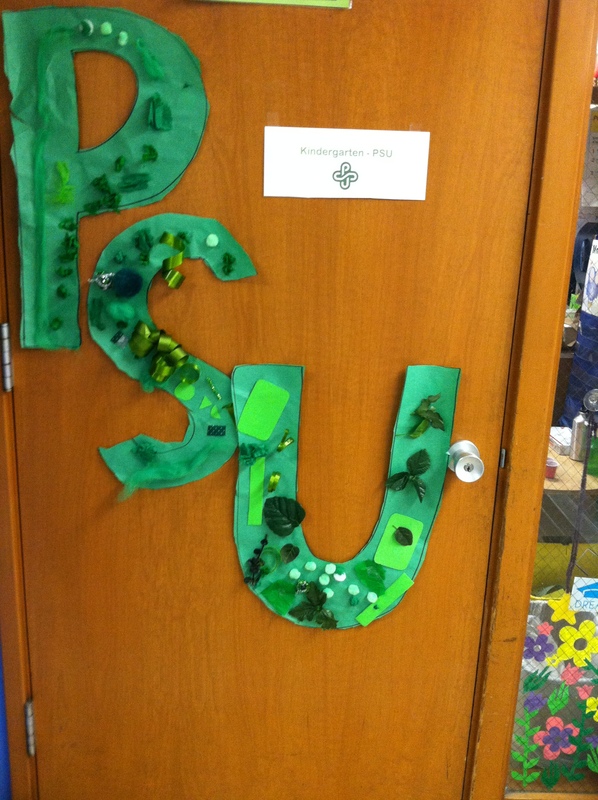 When we leave, we invite the kindergarten classrooms to join us at PSU for another College Day in the spring. 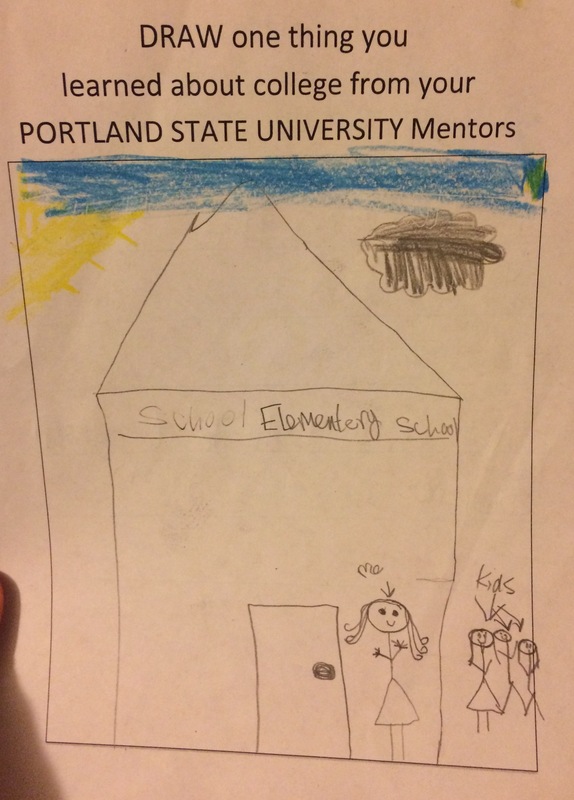 Image of a school drawn by student that reads "PSU friends." "I want to be a doctor, a teacher and a scientist. That's what I want to be when I grow up." "I learned that they go to school to get a career. I also learned that they go to college to learn science, just like school."